How can I verify that my employer has workers’ compensation insurance? Employees, contractors, and all other parties can easily verify if an employer has workers’ compensation in Illinois. The Illinois Workers' Compensation Commission (IWCC) has provided a searchable online database of employers and their workers' compensation insurance policies. If your employer and insurer are not listed, you may be able to take action. Based in another state. Out-of-state employers may not be listed on the statewide database, but that does not mean they are exempt from providing workers’ compensation insurance. Even if an employer’s headquarters is in another state, the company is required to secure workers’ compensation for employees who live and work in Illinois. Self-insured. Illinois employers are allowed to provide self-insured coverage, meaning that payment for work injuries is provided directly from the company rather than a third-party insurer. Although employees in these cases must pursue a work injury claim internally, the employer is required to provide coverage similar to the benefits included in state workers’ compensation laws. If employees are having trouble securing injury payments from a self-insured employer, they can file a complaint with the Illinois Division of Insurance and may have grounds to file a lawsuit. Committing fraud. Some employers knowingly violate the workers' compensation insurance requirement by failing to secure coverage or lying about the policy information. 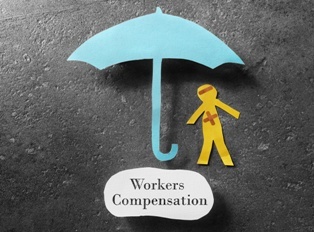 The IWCC has the ability to investigate and report companies who do not have coverage according to law, so employees should communicate any coverage concerns to the Illinois Workers' Compensation Commission. Work injury claims in Illinois can quickly become complicated, especially for employees who are still struggling to overcome the effects of an injury. Our experienced workers' compensation attorneys can explain your options and advise you on your next steps at no cost to you. Contact Tapella & Eberspacher today at (855) 522-5291 or fill out our online contact form to schedule your free consultation.